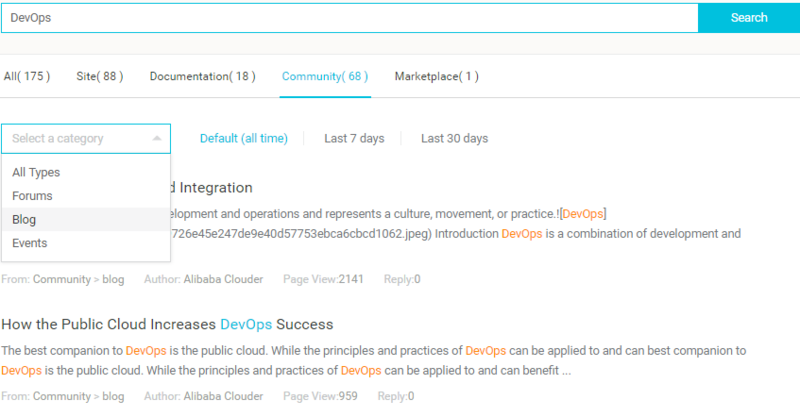 Alibaba Cloud's newly launched Community Platform 2.0 allows for user generated content (UGC) and helps community authors to be better recognized for their contributions. 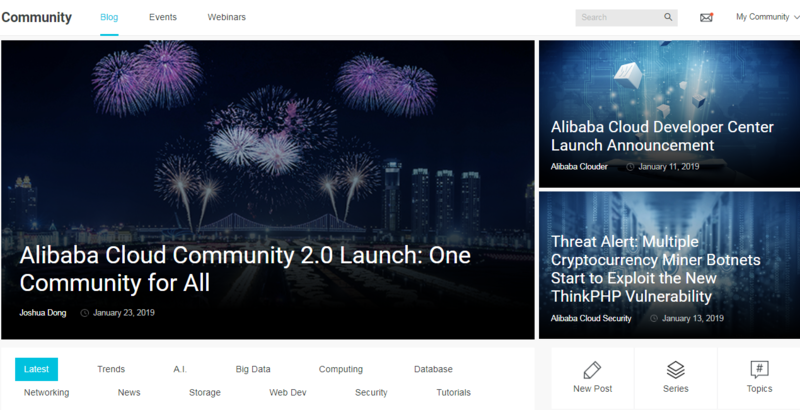 We are excited to announce that Alibaba Cloud Community 2.0 officially went live. This is a big step toward Alibaba Cloud Community's vision to support a UGC-oriented content model and process. With this community platform upgrade, it allows for more scalability to increase community engagement and user interaction within the online community as well as onboard more external authors to our network. Our main approach to increase engagement is to incentivize community contributors with non-monetary rewards and rank authors based on contribution. We have also included feature updates based on the top user feedback and pain points. Read on to know more about the key enhancements. With this platform upgrade, more community channels are on-boarded to the Community Platform to allow for user engagement and interactions. The Blog platform is now joined by the Events and Webinar channel, under a unified Community Framework. We hope to enhance the user experience as well as increase user engagement through this integration. 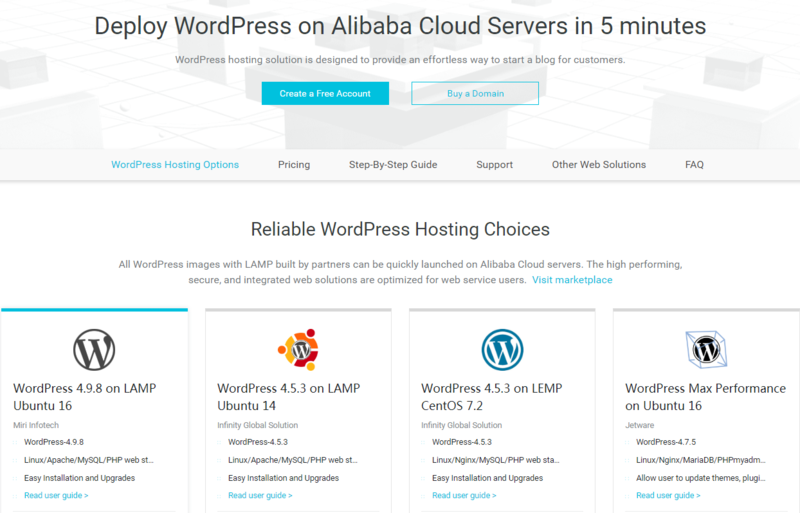 The most significant change with this update is that the Alibaba Cloud Blog channel now supports user reputation and ranking. The user reputation management system has been put in place to rank each user's reputation according to his or her contribution. The more a user contributes, the higher the user's ranking is. The top bloggers will be promoted on Popular Bloggers for more visibility. Learn more about the Alibaba Cloud Community Reputation Scheme. 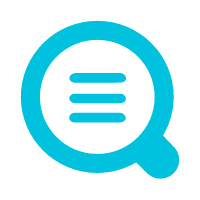 Search Bar: Now users can search for blog articles along with other community content assets directly using the search bar. Article Series: Users can create a series of articles directly on the front-end to promote, such as "Double 11 Article Series". Topics: Users can curate content or assets associated with a popular topic or read about Alibaba Cloud's latest campaigns or promotions. Knowledge is best when shared with the community, but a little incentive never hurt anyone, therefore we will reward our most influential community contributors. Rewards are not be limited to monetary incentives, such as through our Tech Share program. By contributing more, users can also gain more exposure within the global tech community and stand a better chance of becoming an Alibaba Cloud MVP). For those who are keen on being involved with technical projects, head over to the Alibaba Cloud Developer Center to learn how you can support our various open source projects. Simply visit the new Alibaba Cloud Community channel and log in with your Alibaba Cloud account (sign up for free if you don't have one) to be a part of the Alibaba Cloud Community. After signing up, you can immediately start interacting with other users and contributing to the community. For questions and suggestions on our Community Platform, you can leave a comment below, or share your ideas on our Forum. Last but not least, we would like to take this opportunity to give a special thanks to all of our contributors for making the entire project possible. We look forward to receiving your continued support in 2019 and beyond. One community for all. Let's make a difference now!